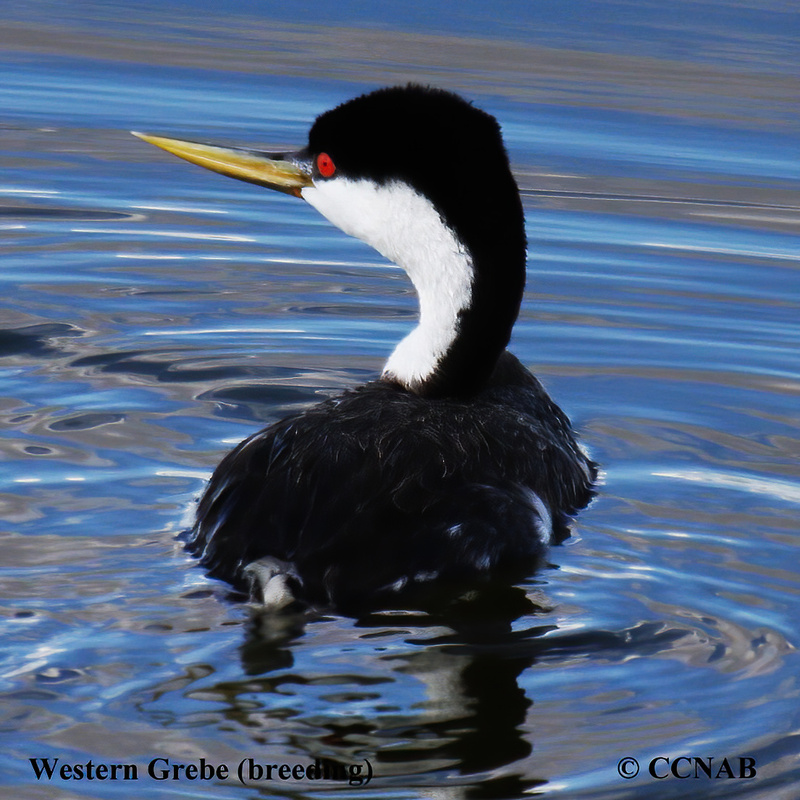 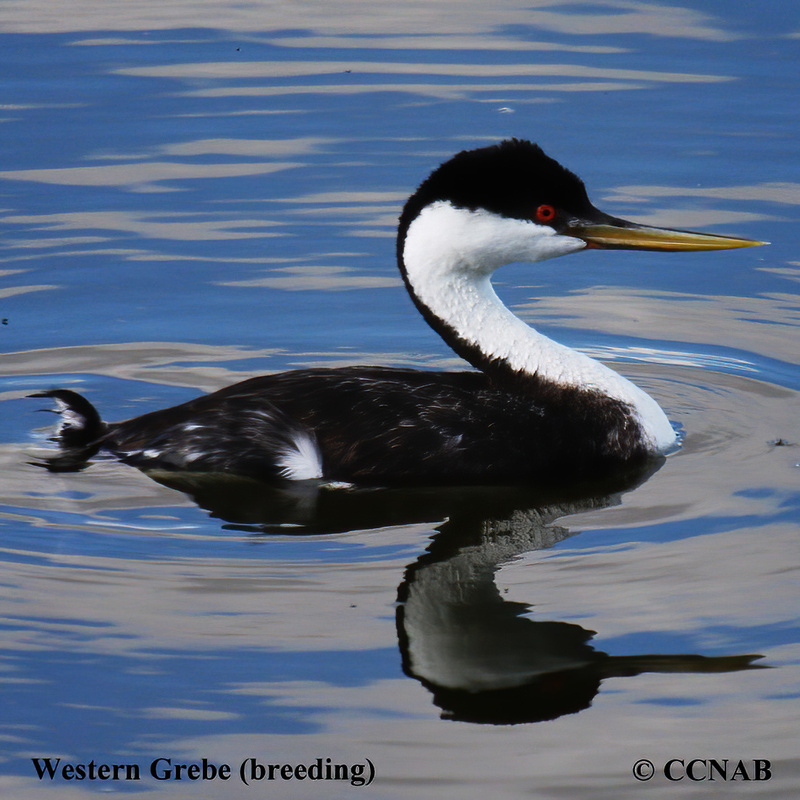 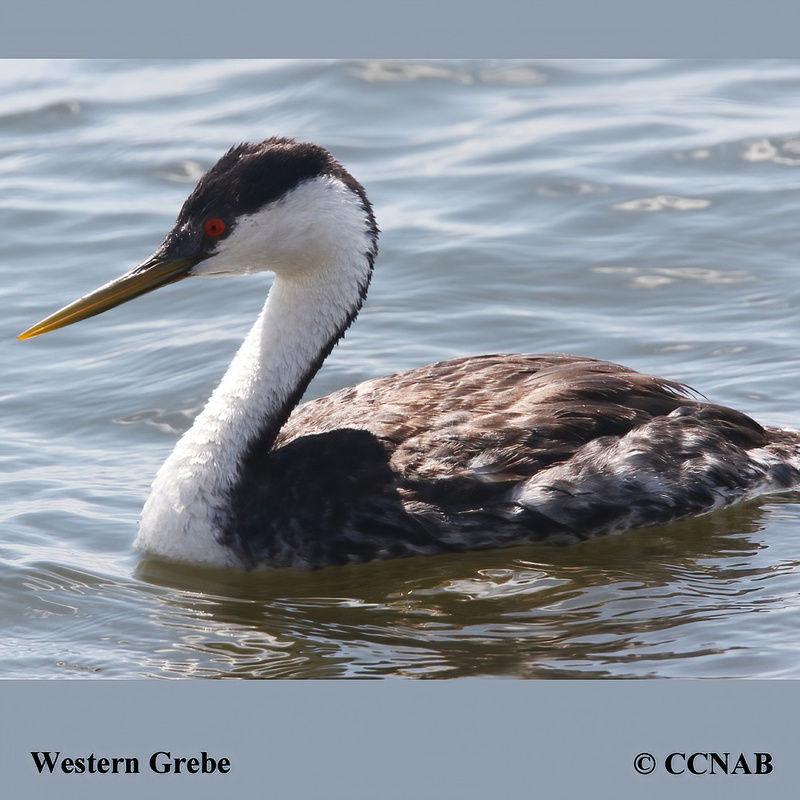 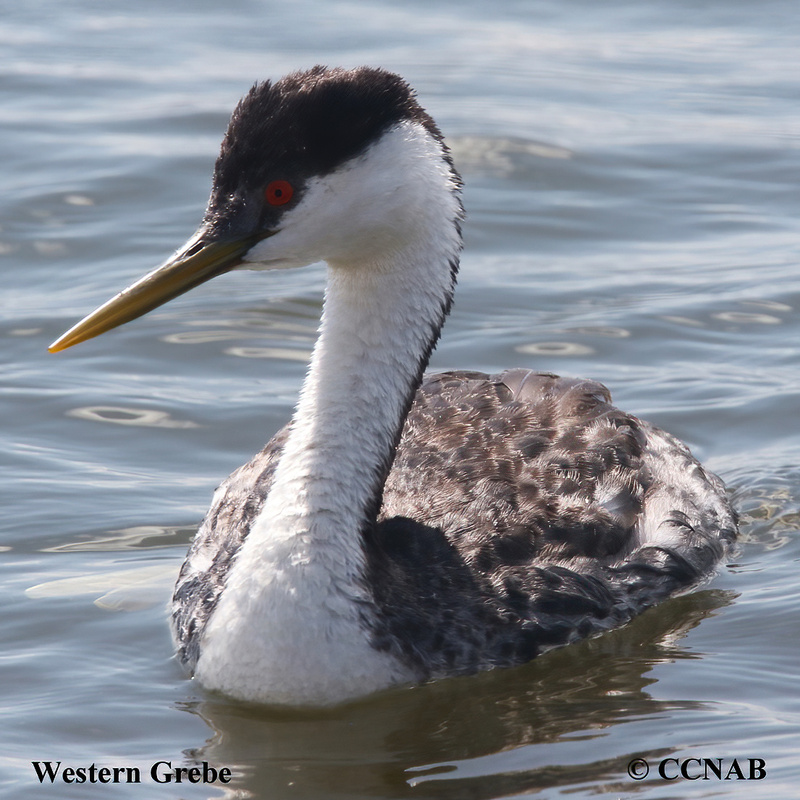 The Western Grebe is the largest member of the grebe family. 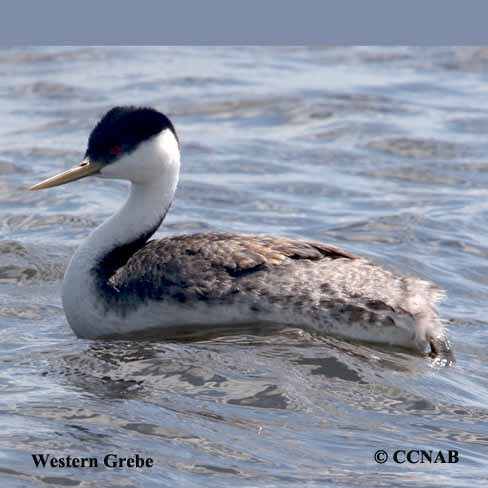 Although, at times this grebe species has been seen in the eastern parts of North America, it is a bird whose habitat is mainly in western regions of the continent. 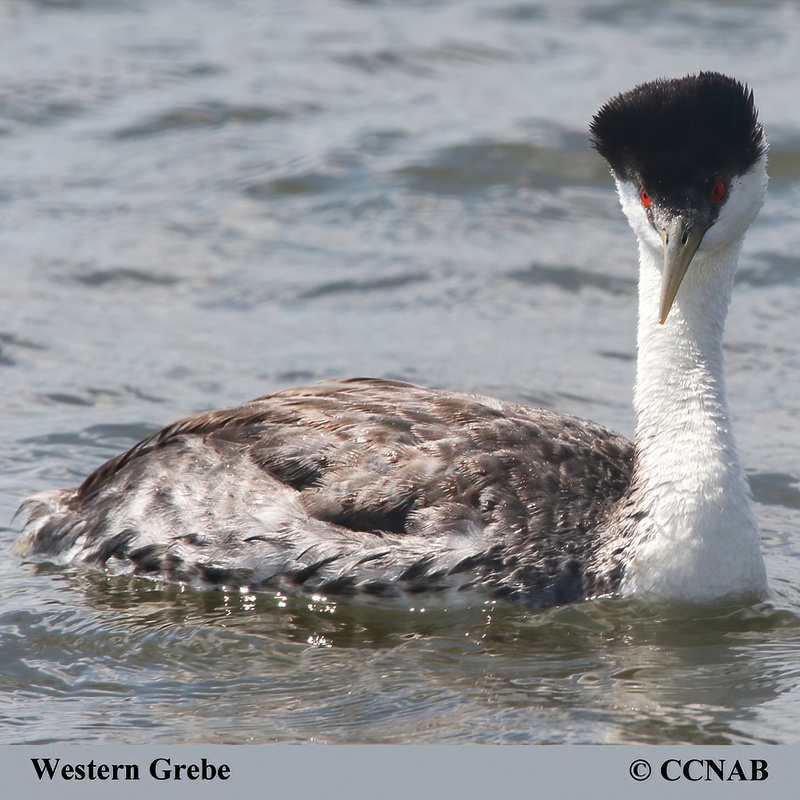 It is very similar to the Clark's Grebe, whose has a black head, starting only above the eyes.